The summer rally schedule is filling up fast. Take a look at your calendars and book your classes now! First up is the 5th annual Giant Loop Ride: Crystal Crane Hot Springs Oregon Backcountry Experience, June 3-5. Dirt Bike Safety training will be on site doing a clinic on Friday, June 3. This popular event has filled up, but contact us to get on the wait list. 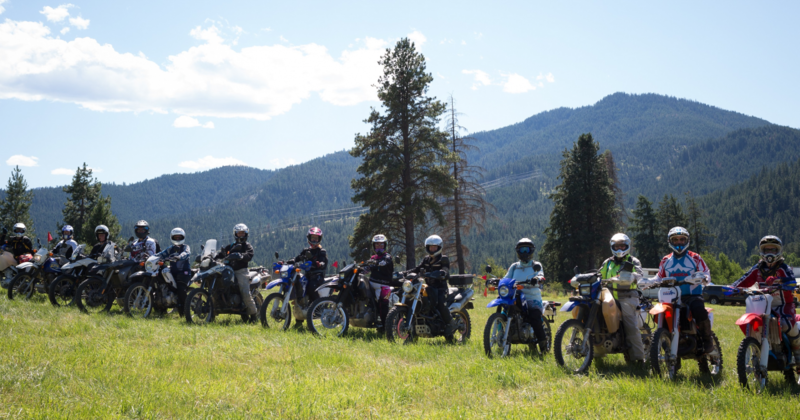 Dirt Bike Safety Training and Gary LaPlante from DirtFIRST by MotoVentures will be on site hosting clinics each day, featuring a Ladies Only clinic on Thursday. We will have a limited number of small dirt bikes available. This will be the highlight of the summer rally series in the PNW. This year the motos will be separate from the 4x4. We will have the whole area to ourselves. Dirt Bike Safety training will be on site with a limited number of small dirt bikes available giving clinics both Friday and Saturday. We will be attending the ever popular Rally in the Gorge again this year and holding clinics each day including a Ladies Only clinic on Thursday.